Chef Gordon Ramsey ought to wash his mouth out with soap. 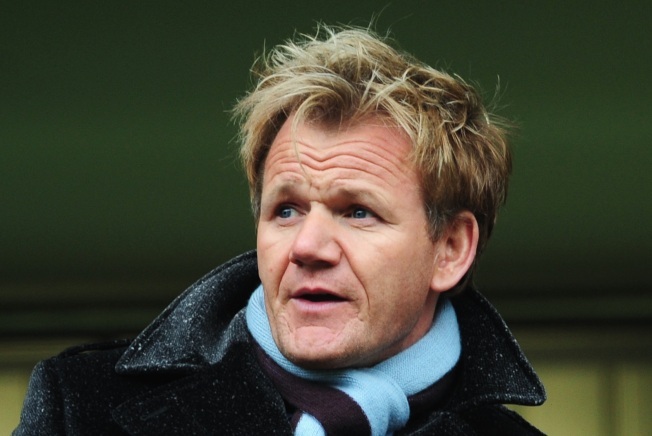 Celebrity chef and star of the reality show "The F Word" Gordon Ramsey cheated on his wife. And cheated on his mistress. And cheated on the woman he cheated with. The famously hot-headed and foul-mouthed chef initially denied the charge when confronted during a cooking demonstration—with his wife and mum in the audience. The News of the World then ran a splashy front page story detailing the affairs, including such tasty tid bits as what the discriminating chef eats for a pre-coital meal. How on earth did Ramsey ever find the time to get to the third level of infidelity? Between writing cookbooks, hosting two TV shows—"The F Word" and "Hell's Kitchen"—and running restaurants—including his trio of eateries at the London here in New York—it's amazing he even had time for his wife, forget having another woman on the side in Denmark. Ramsey shouldn't have been surprised when his mistress spilled the beans.. The woman, a compulsive Welsh fornicator named Sarah Symonds, has kissed and told before—when she slept with a politician. And—you can't make this up—she literally wrote the book on cheating.